According to Qualcomm, the VR and AR market is now mature enough for a unified SoC, so the company is almost ready to release the Snapdragon XR1 chip that will bring support for virtual, augmented and mixed reality environments. At its core, the XR1 is a smartphone SoC that does away with most communication-related features. Most standalone VR headsets today are powered by Qualcomm’s system-on-chips. The only real alternative is provided by Samsung with its customized Exynos chips, but the Korean company prefers to integrate these SoCs in proprietary products only. Qualcomm is currently offering quite a few SoCs, but none of these is specifically designed for VR tasks, so now, the company decided that the VR market is mature enough for a specialized SoC. 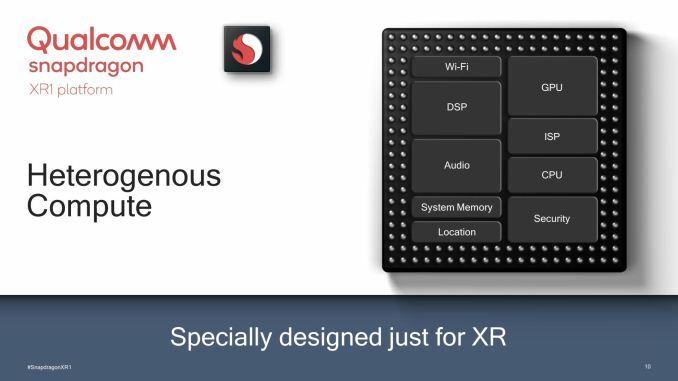 Accordingly, Qualcomm proceeded to unify virtual reality, augmented reality and mixed reality functions in its latest Snapdragon XR1 SoC, which was presented Tuesday at the annual Augmented World Expo. 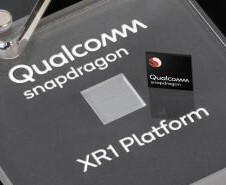 The XR1 is Qualcomm’s first unified chip that is meant to power the next gen eXtended Reality devices. These will include the successors to the high quality 3DoF headsets like the Oculus Go and the premium quality 6DoF headsets like the Lenovo Mirage. The exact specs were not disclosed with Tuesday’s announcement, but Qualcomm did exhaustively explain what the design philosophy for the XR1 SoC is. Thus, the XR1 is essentially a stripped-down version of the smartphone Snapdragon SoC in order to keep production and integration costs down, so it only includes the Kryo CPU, the Adreno GPU, the Spectra ISP and the Hexagon DSP. Since the XR1 is largely based on the latest generation of smartphone Snapdragon SoCs, it is expected to come with a 600-series Adreno GPU that is capable of handling 4Kp60. Qualcomm is optimizing power consumption in the sense that workloads will be carried out not only by the CPU and GPU, but by the DSP as well, leading to a more heterogeneous processing distribution. Similarly, the AR experience will be handled through the CPU/GPU plus the improved Spectra ISP that promises a motion-photon latency of under 20 ms.
Qualcomm is nearing sampling stages for the XR1 and the company already signed agreements to provide the new chips for HTC Vive, Pico, Meta and Vuzix. The first headsets to use the XR1 are expected to launch before the end of the year.